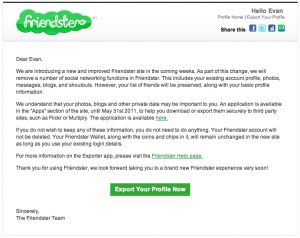 “We are introducing a new and improved Friendster site in the coming weeks. 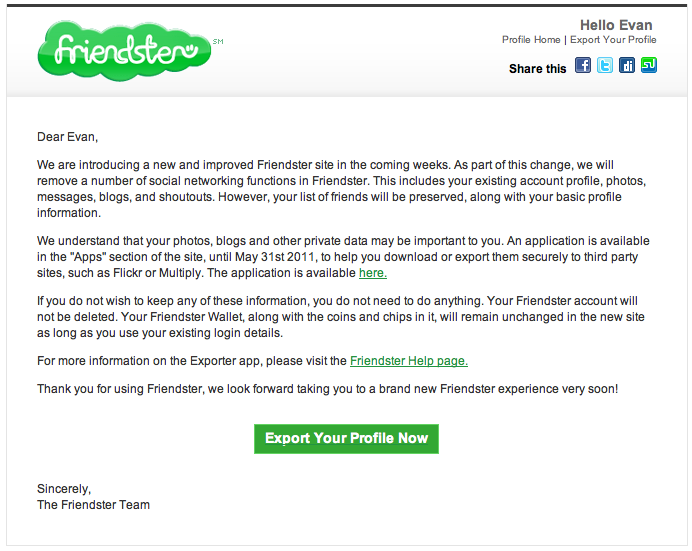 As part of this change, we will remove a number of social networking functions in Friendster. This includes your existing accountprofile, photos, messages, blogs, and shoutouts. However, your list of friends will be preserved, along with your basic profile information. With respect to digital legacy this move has implications for users. 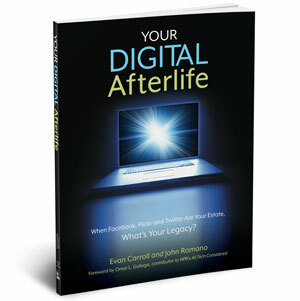 For deceased users, without heirs who might have the username and password, their content will be deleted and heirs, even if they are willing, have no way to download the content automatically. From a greater standpoint, we’re set to lose some of the earliest social networking data. 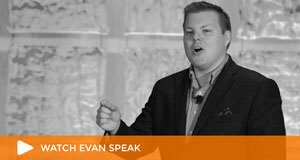 It’s likely that this content would be of interest to researchers in the future. We encourage you to download your data if you’re a Friendster user and consider how you will archive that information. After all, it’s Preservation Week.